Mass Merchant/Discount Retailers grew into the prominence in the early 1980s and since that time thousands of stores have been open in the vertical. Retail technology companies continue use their standard point of sales applications to accommodate the unique challenges of this vertical. Mass Merchant/Discounters have the unique challenge of receiving thousands of products into one store location and in some cases will not reorder or offer the product throughout the complete chain. The product can be shipped from traditional wholesale warehouse, retail stores or from factories. In a growing trend, as many retailers find creative ways of managing their inventory, some retailers have the consumer return the product to a 3rd party consolidator, who will ship all returned items to a discounter in bulk. All of the previous mentioned receiving methods are a challenge for the traditional retail back-office system. RDT has developed a workflow that accommodates for a quick receiving process to accommodate the dynamic operations of a mass merchant/discounter. Our mobile inventory application enables the retailer to scan product into the system, maintain inventory accountability and produce the several vendor performance reports/analysis. In addition to the receiving process mass merchants have unique challenges with the checkout process. The volume of products that are small and do not have space for the traditional upc barcode, the traditional scanning process becomes a bottleneck in the checkout process. In many cases these products do not have a barcode which can create a myriad of issues in the back office/accounting process. RDT has developed technology to address the issues created by the workflow. RDT has the business and technology expertise to ensure that the retail solution is designed to accommodate the specific challenges in mass merchant/discount operations. C & A Marketing acquires group of Ritz Camera & affiliates stores, and deploys RDT in all their stores. System Enhancement: New shelf label management application. The application ensures that the correct price is on the shelf label. This resolves a major issue in the supermarket industry. New Customer: NPGS, a New Jersey based supermarket chain selects RDT Systems for their POS and back office operations. System Enhancement: Document office application. This application enables the retailer to attached critical hard copy documents in electronic form to relevant inquiries; apply an invoice to the related purchase order inquiry. 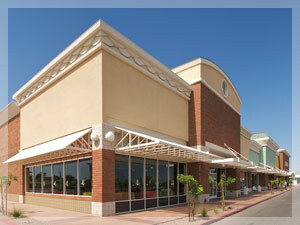 Since 1999 RDT Systems has been providing retail technology solutions for small to medium size retailers. RDT is focused on implementing advanced technology with a competitive price/value proposition. Copyright ©2015 rdtsystems.com, all rights reserved.